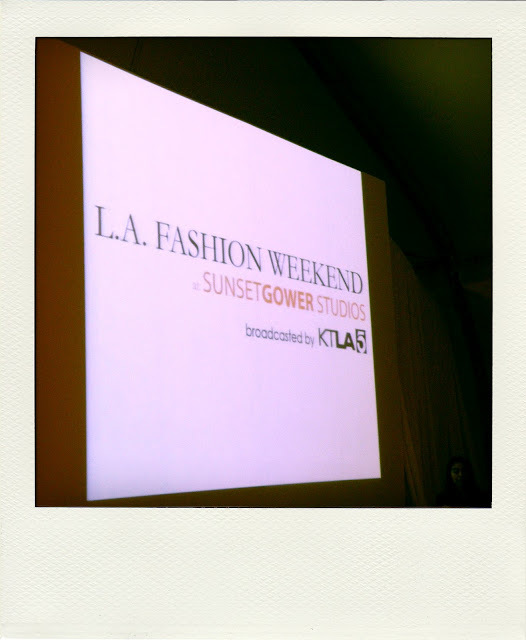 I was invited to attend the Romeo & Juliet Couture: Gossip Girl Fall 2012 show last month for LA Fashion Weekend. I was really looking forward to this event because it was the first show I attended that was broadcasted on TV! 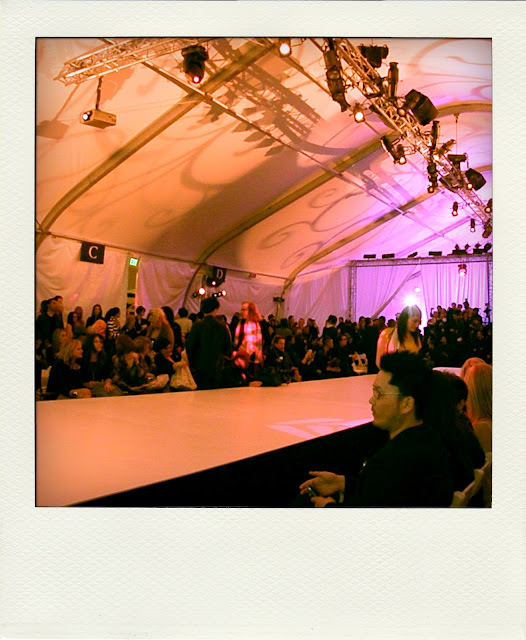 Plus, somehow I scored an awesome seat in the second row, right behind the designers, so that was pretty exciting. The whole night was dedicated to television inspired lines, with Alexis by Tal Sheyn (Housewives of Beverly Hills), Lizzie Parker (Fashion Star), and Gossip Girl by Romeo & Juliet. A mix of sparkly evening wear and casual clothing, Alexis by Tal Sheyn was all about the glam and glitz--definitely not for the shy. This collection was very wearable. The draped tops and tunics are perfect for everyday women that want to look put-together and stylish at the same time. This was my favorite show of the night. The show consisted of sophisticated separates and flattering silhouettes, and had an It Girl appeal. It's feminine without being overly girlie, with innovative details (did you see the ombre fur jacket above??) and just a little bit of edge. I could see myself wearing a lot of the pieces. (I'm already excited for fall). The Gossip Girl by Romeo & Juliet Couture Fall 2012 collection will be available mid-summer. Here's my outfit from the night. 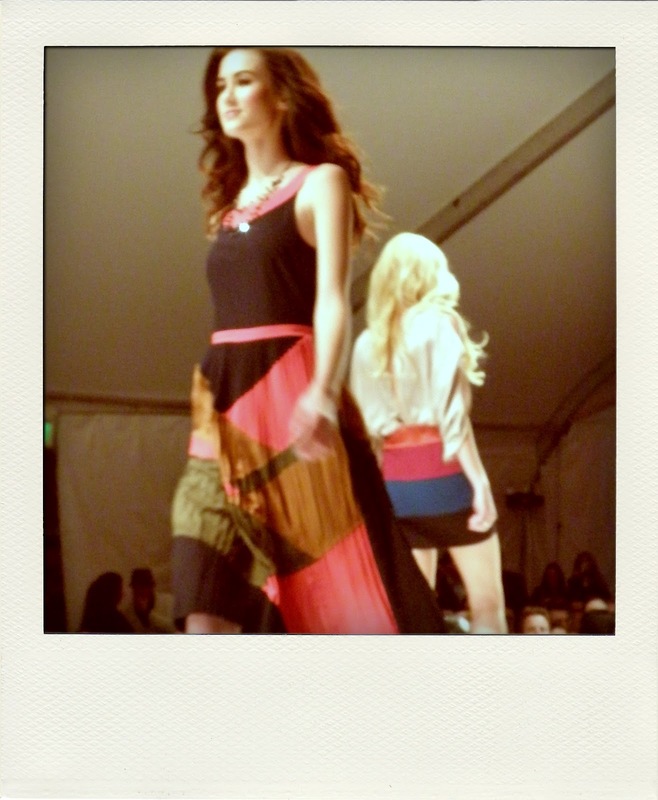 Hope you enjoyed seeing these Fall 2012 collections!